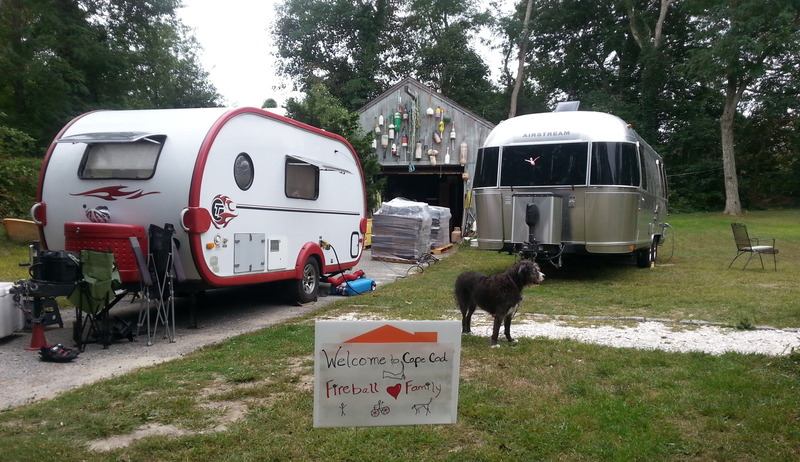 The Fireball looks pretty sweet tucked in alongside Santa Baby, the Airstream owned by friends Sandi and John, doesn’t she? 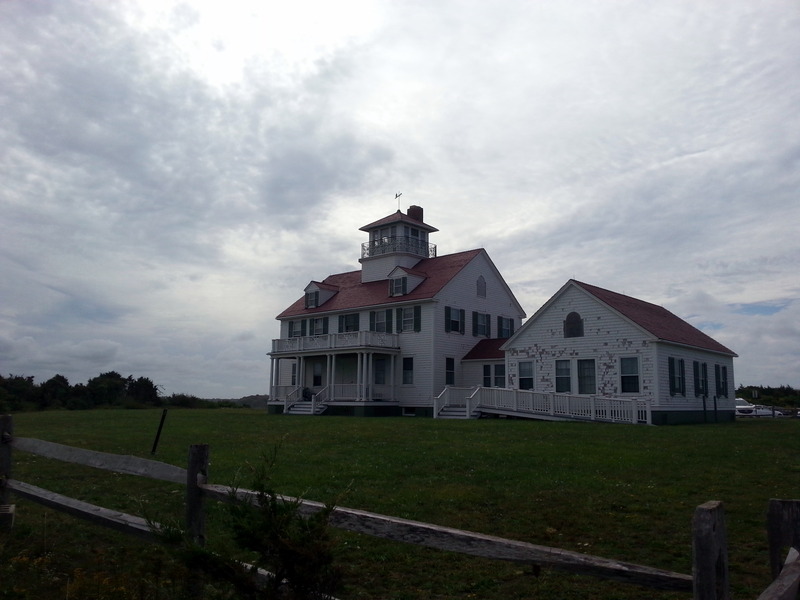 In fact, we liked it so much that we stayed for three days in their driveway, while we explored Cape Cod. 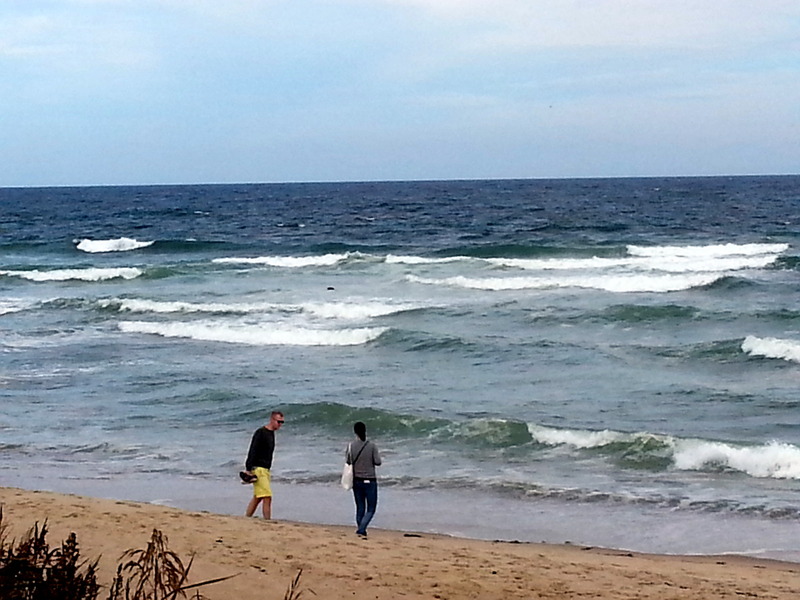 After being Boston city kids for five days, Cape Cod was a breath of wild fresh air. Stretching for forty miles along the bay, the Cape Cod National Seashore is a collection of sandy beaches, marshes, and salt ponds. Oaks and pines, seemingly stunted by the ever-present ocean breeze have a squat, weathered appearance. It’s all very rustic and wild on the National Seashore side, while the other side of the bay is an assortment of small towns and villages – each doing their best to collect their share of the tourist dollars that flow through the area. Since Sandi and John are both still working folk, we decided to head out on bikes (surprise, surprise) to explore on our first day. Naturally, the Visitor Center was our first stop. We viewed two films – one was an introduction to the area, and the second explored the formation of the Seashore, and the challenges of erosion. 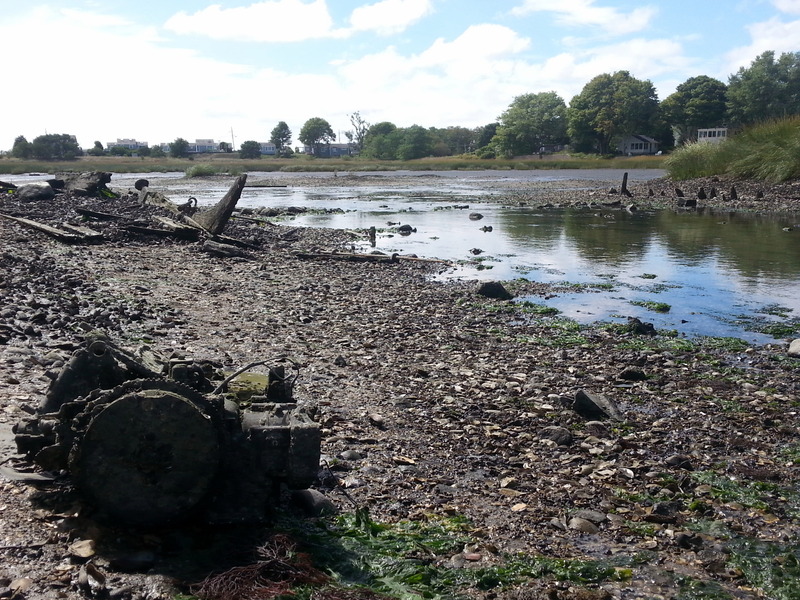 The damage done each year by storms alters the shoreline just a bit. Rising ocean levels pose significant challenges for the decades ahead. At the Visitor Center, there’s a large skiff, which was used by early settlers to harvest sea hay, which was collected at low tide, brought to shore, dried, and fed to livestock. A side note indicated that many old timers in the area recall milk having a salty taste. Well, yes – I imagine that it would! Clutching our map with a bike route plotted out for us by a friendly Ranger, we headed off. 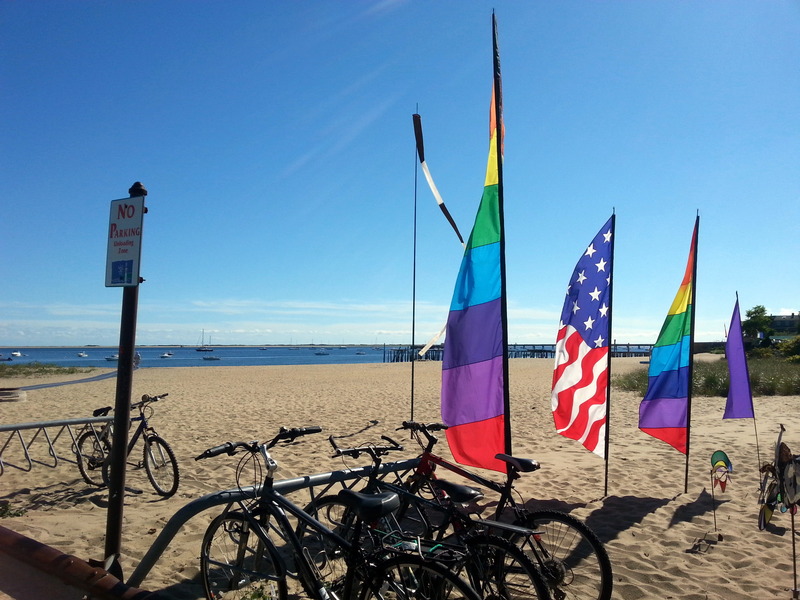 Our intended destination was Provincetown (or P-town, as it’s known around here). 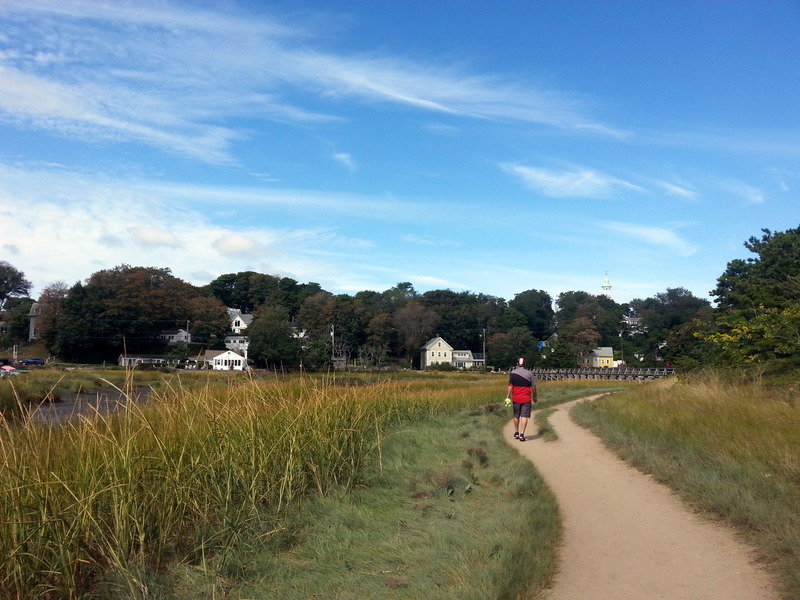 The route comprised the Cape Cod Rail Trail, short stretches of US and State Highways, and beautiful narrow roads, winding along the shoreline. We fell well short of our destination goal, stopping to gawk at the spectacular views, and sometimes to gasp for breath after short steep climbs. 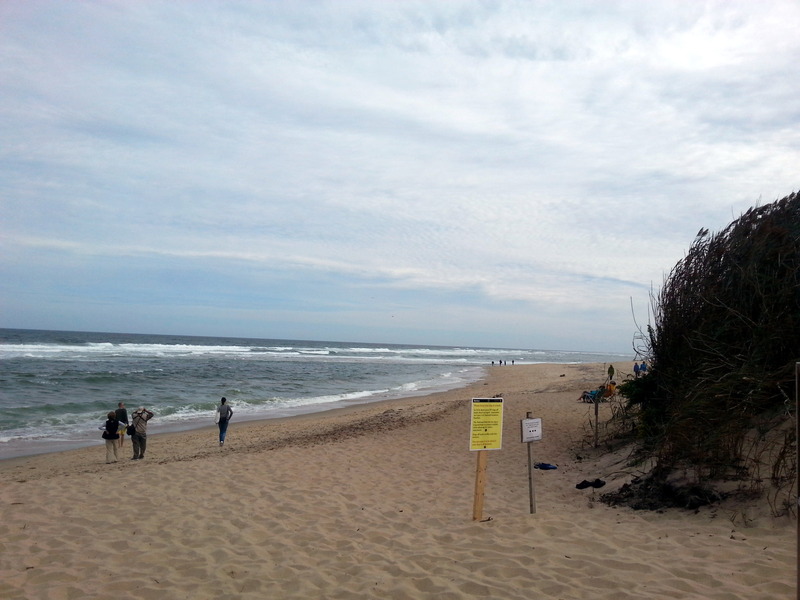 At Wellfleet, we threw in the towel, grabbed lunch, and turned back. 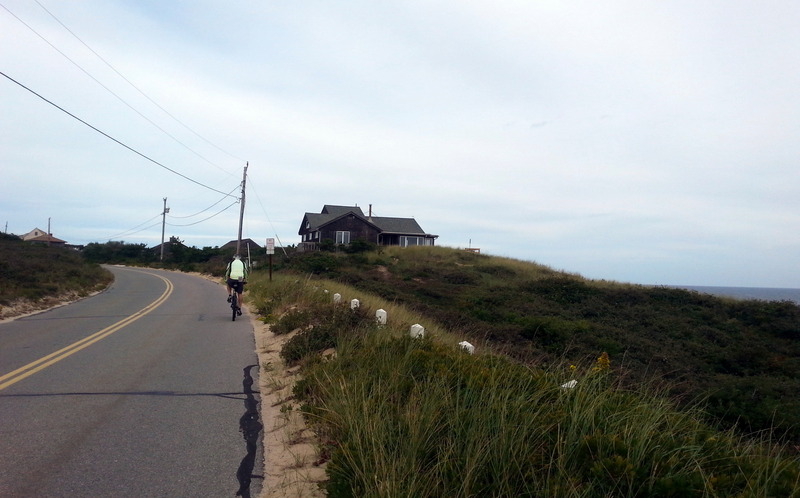 We pedaled past Marconi Beach, the site where Marconi built his transmission towers that sent the first wireless message across the ocean. Along the way though, we wandered along a salt marsh teeming with tiny little crabs and other wildlife. There’s a peculiar earthy, rather rank, odor to a salt marsh from sea life left behind by the tide and decomposing plant matter. We watched a Great Blue Heron tiptoe across a slender rivulet of water to quickly snag an unsuspecting fish. It’s an interesting spot to lurk and observe. During our three days on the Cape, we feasted on clams. Fried clam strips and whole belly clams, fried scallops, clams on the halfshell, and (of course) clam chowder. In our time in Massachusetts, I think John has probably devoured eight cups of clam chowder. Pretty sure he’s not done sampling yet. Sandi had the day off on Wednesday, so she offered to be our guide to P-town. 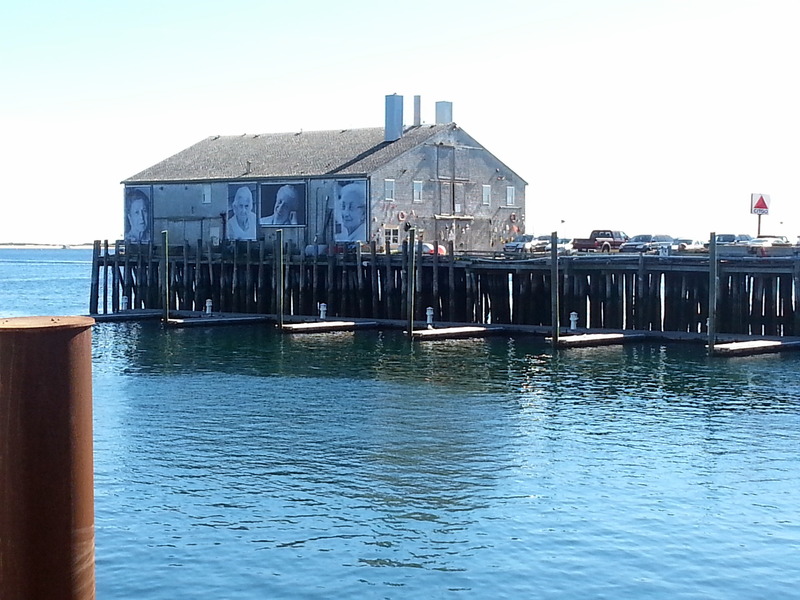 Originally a Portuguese fishing village, P-town is now a cramped artsy town, loaded with restaurants, shops and galleries, and a wharf with whale watching tours, moonlight cruises, charter fishing boats and plenty of colorful characters. Fun to visit, but too crowded for my taste. While we probably missed plenty of historic sights, we also missed getting a view of the seals which rest on the beach at low tide. Our timing was off, and by the time we got to a spot where we figured to find them, they were already back out in the waves, diving for dinner. (That dark spot in the middle is a seal head.) Seals consume hundreds of pounds of fish each day. In turn, Great White Sharks hunt the seals. It’s a timeless battle. After three nights parked in Sandi and John’s driveway, it was time to move on. John renewed his Airstream lust. We replaced one of the Fireball’s tires, discovering that we had cord peeking through the side. This was the side that was damaged by our bearing incident, and we hope that this is the last vestige of that mishap. Sandi and John (he’s a contractor) have the most remarkable shower I’ve ever experienced – three showerheads and a pebbled floor make it a shower you never want to end. Wow. 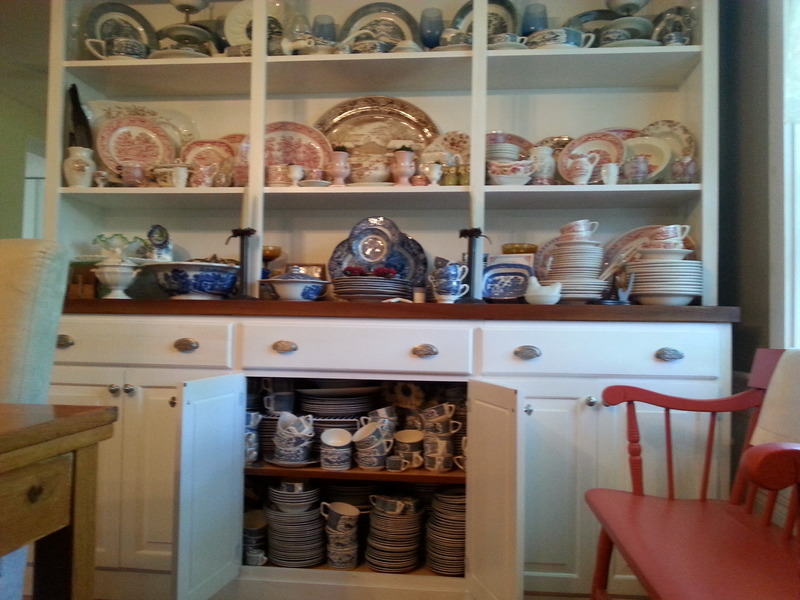 And, I wouldn’t be being honest if I didn’t say that I was floored to find that John collects Currier & Ives dinnerware – he has place settings for 90! Let’s just say that you could throw a hell of a party with all this! 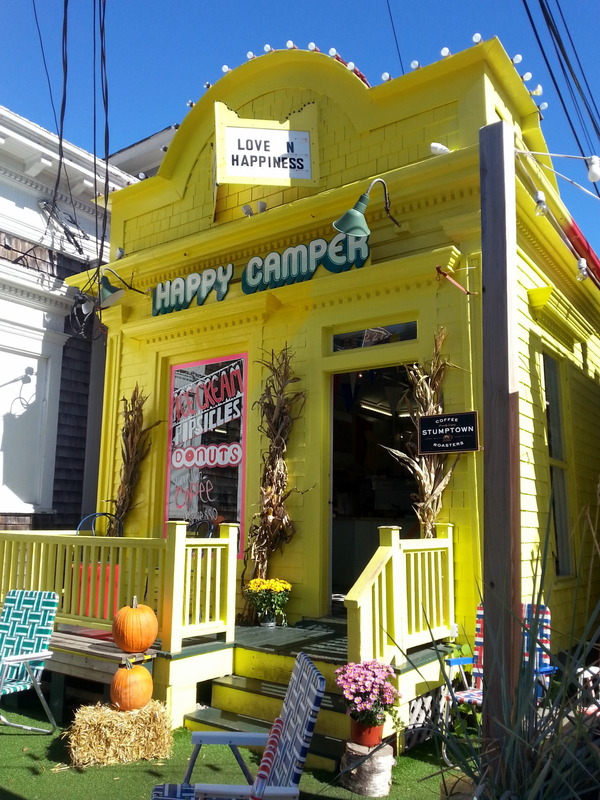 This entry was posted in camping, cycling, great outdoors, national parks, retirement, RV life, T@DA and tagged camping, Cape Cod, Cape Cod National Seashore, cycling, Massachusetts, national parks, Provincetown, retirement, road trip, RV life, seafood, T@DA by Judy Crankshaw. Bookmark the permalink. Worry not – we WILL make a return visit. My mom made Fridays Campbell’s clam chowder day….I imagine when it’s the real deal you get nice huge chewy clams….ahhhh would lv that! Stinks you missed the seals! Chowder runs the gamut around here. We have liked the ones best that don’t seem to be overly thick. The more clams, the better. We’re already plotting a return trip. The seals won’t escape our viewing next time. I thought that Cape Cod was housing wall to wall, I had no idea that there was open land to be found there. Of course, I also thought that it was exclusively for the rich and famous as well, and I don’t qualify. ;) Because of your wonderful post, I may have to add this to my bucket list of places to go, you do make it sound inviting! The populated side of the Cape may indeed be wall to wall rich folk. There certainly is a bit of wealth out here, but it’s deceptively packaged. Many modest appearing homes whose value has skyrocketed. Sandi said that many young couples leave the area because they can’t afford their homes in Taxachusetts. We really didn’t see many shore birds out there, but I can imagine the fun you would have with your camera in the salt marshes. So much hidden life scurrying around. If there’s one thing I miss about our sticks and bricks home, it’s the shower. Since we too were contractors, our custom home had the most fabulous large shower with multiple shower sprays. Ah, I do miss it, but then if we hadn’t sold out, I’d be missing out on all these adventures. Priorities, and speaking of which, good clam chowder should always be a priority…. jealous – enjoy! When you’ve been camping for awhile, a wonderful shower is so appreciated. They practically had to drag me out of there. John said yesterday that he thinks he’s “over” clam chowder. Oh no…..what next? We will always have our IPA fixation, I’m guessing. My food thing out here may be fish tacos. Yum! I want to be you when I grow up. It all looks amazing Judy. Nah, Deb. Don’t grow up. Be like Peter Pan. Better that way. So ruggedly beautiful! Your descriptions make me feel like I’m right there with you in the photos. It is, Alison. Just incredibly beautiful. Your pictures are beautiful, but your writing even more so. Thanks for sharing. I’ve never been to Cape Cod, but someday soon hope that Babe will be beaching it along the NE coast! Jen, you will love Cape Cod. There is so much beauty out here. Seems like everywhere we go, we automatically start planning a return trip. It’s gonna be a squeeze to get all these spots on the camp calendar. What a great time at the Cape and with the best host and hostess. We are getting ready to head out today so see you soon! 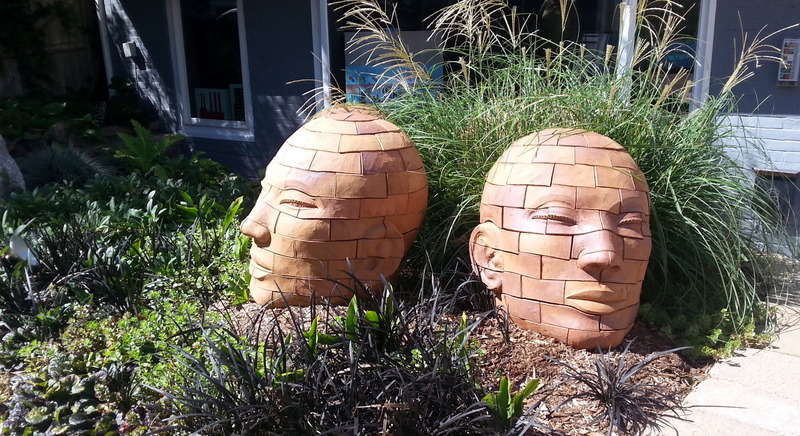 Yep, we are seeing you…. Oh! 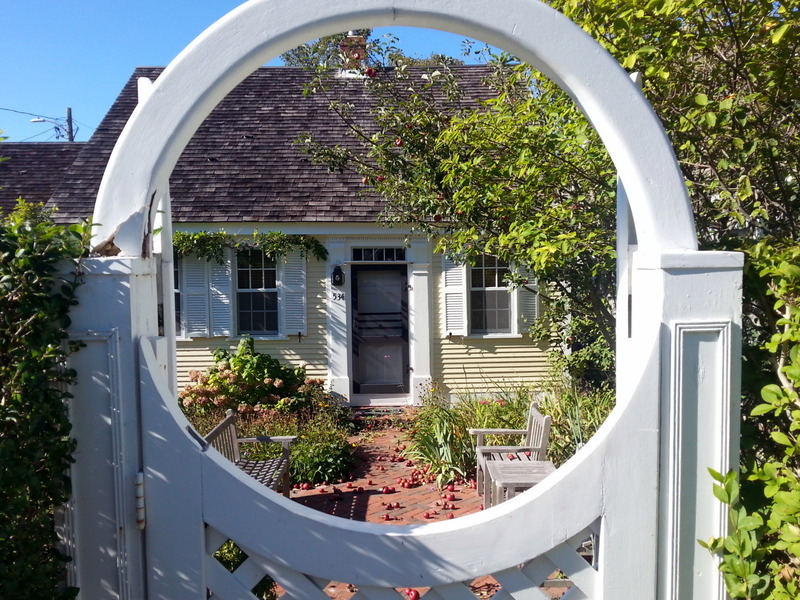 Your photos make me want to go back to Cape Cod!! How fun to be there with Sandi and John! Sandi and John really know how rock base camp. Bet you will all have fun at the Coastal Caravan. We thought of you yesterday, Matthew as we hiked a section of the Massachusetts AT, up to the highest peak in the state (which isn’t too high). Hope you are having fun out there.